Chainfire's FlashFire is a very handy tool for anyone who likes to flash their phone. 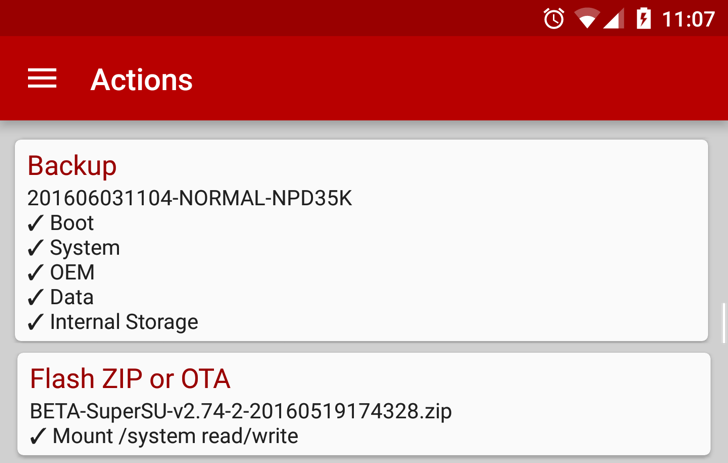 Provided the device is rooted, it enables the flashing of OTA files, ZIPs, and full firmware packages, all without needing a custom recovery. Previously, the app had been available in Google Play's beta program, but as of version 0.50, it is now open to all. If you're into rooting these days, there's a good chance you've at least tried out FlashFire by well-known SuperSU developer Chainfire. It's one of the friendliest tools to use for flashing firmware images and mods, and it can even install official OTAs while keeping root intact. Today, Chainfire is releasing a new version of FlashFire with a pair of new features that will make it even more powerful: it can now create fastboot-flashable backups and there's a new option to preserve the existing recovery after installing OTAs and ZIPs. FlashFire has long had the ability to create backups, but they could only be restored through a custom recovery or from FlashFire itself. We don't talk about rooting nearly as much these days. It's not that plenty of people aren't still doing it, but the popularity of modding has slowly dropped off as Android continues to mature. One of the leading deterrents to rooting is the hassle of manually staying current with updates, which can take more effort than it's worth–especially with Google adopting a monthly rollout schedule for Nexus security updates. 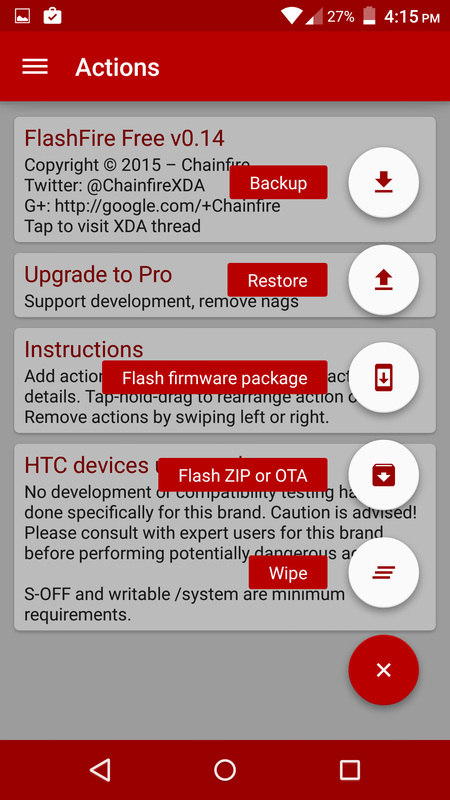 Chainfire, developer of SuperSU, has updated his app FlashFire to take the pain out of keeping up-to-date by adding support for OTA packages and Android 6.0 Marshmallow. 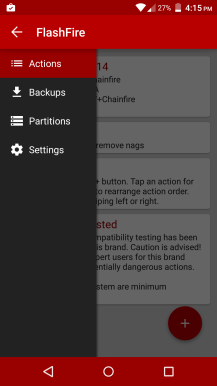 For owners of Mobile ODIN Pro, you will get pro features of FlashFire for free if it is installed on your device. 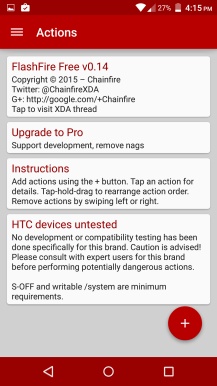 With that said, FlashFire does not yet have any premium features.